About Pastyman™ - A Cornish family run business. Pastyman™ is a Cornish family-run business. 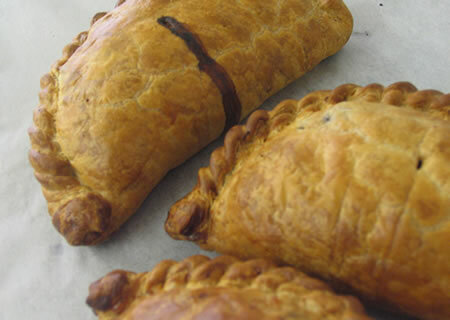 All pasties are hand made in Cornwall using the finest ingredients and where possible, all are locally sourced. Our aim is to sell the finest pasties money can buy. Cornishmen are renowned worldwide for their pioneering mining techniques. The need for a wholesome meal for the miners paved the way for the birth of a pasty; a complete meal in a pocket, wrapped in its own pastry packaging. The Cornish pasty has since spread worldwide, across all continents. We even have friends who march through Sydney celebrating 'Cornish Day' in Australia. Pasties form a regular staple in many a Cornishman's diet, if you could only smell and taste them, they would in yours too!